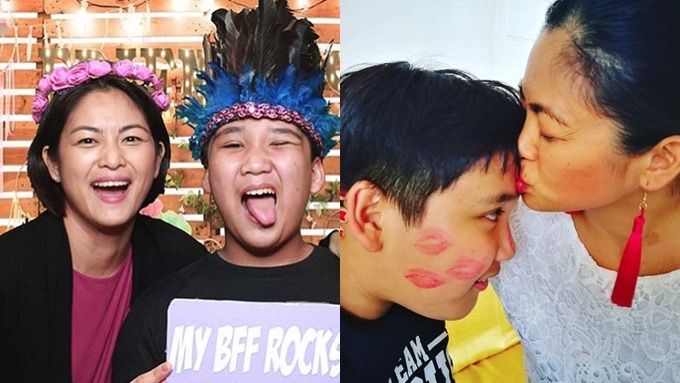 Now that a baby is coming, Miriam Quiambao assures her stepson Joshua: "You are suuuuper special and very much loved by God, Mommy and Daddy. Don't let anybody tell you otherwise." Miriam Quiambao and husband Ardy Roberto have been filled with joy since their prayer to have their own child has been answered. They've been trying for four years, and now at 43, Miriam is nine weeks pregnant. As Miriam and Ardy continue to praise God for the miracle, the beauty queen-turned-entrepreneur wanted to remind her stepson Joshua about her love for him. Joshua is the 10-year-old son of Ardy with his late wife Tingting. The boy has begun homeschooling this school year, and Miriam has taken this moment to assure him she will always be there for him. She wrote in her latest Instagram post: “Children are a reward from the Lord. “I am blessed for the gift of having a son in Joshua, my first child. “Although he did not come from my womb, my love for him was birthed deep in my heart. “I always cherish the times we spend cuddling, doing tickle fights, painting together, cooking and baking together, walking the dog together, playing at Timezone together, doing grocery shopping together, traveling together, reading the Bible and doing devotions together, most especially the numerous real and imaginary adventures we have together as mother and son. “I’m so excited to be starting a new journey of homeschooling with you. Miriam first announced her pregnancy on Instagram last Sunday, August 19. "But Praise God who is the author of miracles and the creator of life! "By His grace, He rewarded our faith with the greatest gift: a baby conceived naturally!!!" Her husband Ardy also recounted the morning he and his wife learned about her pregnancy. "God's timing is always perfect."